All new and totally free! 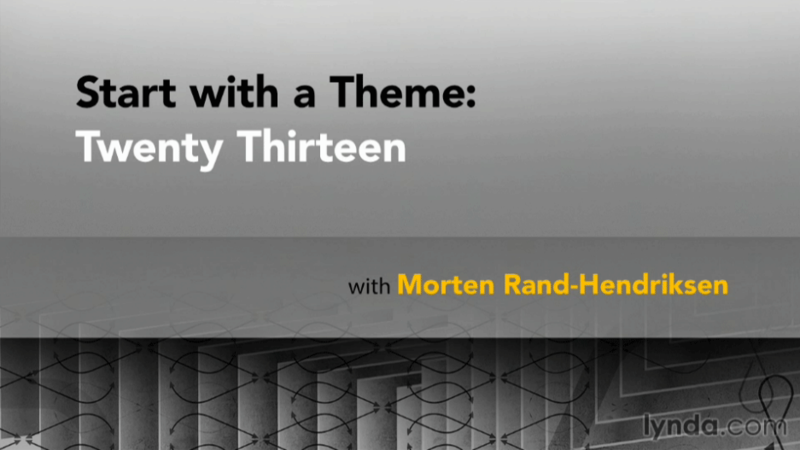 The new Start with a Theme: Twenty Thirteen course from Morten Rand-Hendriksen and lynda.com is here! Hot off the presses my latest lynda.com course Start with a Theme: Twenty Thirteen walks you through all the features of the new default WordPress theme released earlier this summer. Twenty Thirteen is blog-centric and focusses heavily on Post Formats. This short course shows you how to use the theme to its fullest and how to get the most out of the advanced Post Formats. If you are a blogger looking for a new look for your site, Twenty Thirteen may well be the way to go. Check out Start with a Theme: Twenty Thirteen on lynda.com and see if the new default theme works for you. I have been watching your tutorials and i love them. However i would like to know how a wordpress theme can be edited to be something like your own. Thanks! and keep the good work!